Big oil, big homesteads, big hats: It’s no secret that Dallas Texans enjoy a larger-than-life kind of lifestyle. This is a city where southern charm and hospitality embrace old-world traditions—where ladies, gentlemen, and families of privilege delight in the opulence of their successes with the same appreciation for the art of personal service as that of generations past. To put it plainly, Texans value fine service. It is Pavillion Agency’s exceptional ability to understand these values and identify the priorities unique to each client that has kept us in business for more than 50 years. For decades, Pavillion Agency has provided an unmatched level of domestic staffing services that Dallas’s families of distinction have come to rely on. What sets Pavillion apart? 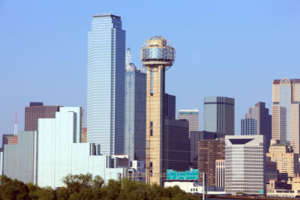 Pavillion Agency has a Texas-sized history of going big! We are a one-stop shop for household staffing solutions. Our agency offers job placement services (permanent, temporary, or temp-to-perm), payroll processing, benefits consultation, and in-home staff training. Let us show you the Pavillion Agency difference!